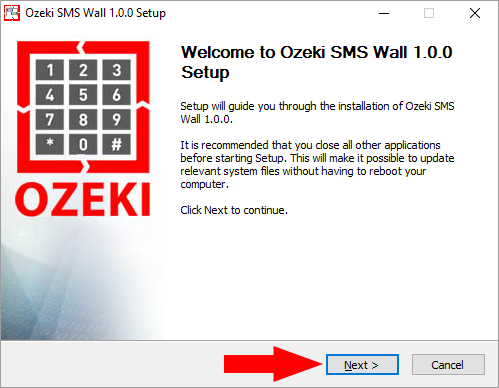 After you have downloaded Ozeki SMS Wall, you need to unzip and install the file. In the installation directory, double click on the exe file to install it. 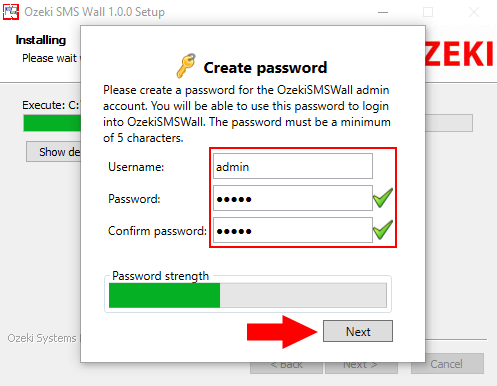 A dialog box will appear with information about the software. Click on 'Next' to continue (Figure 1). 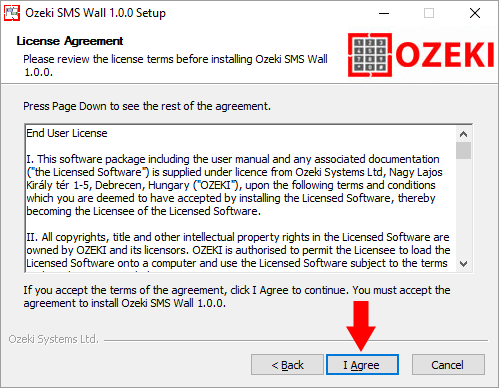 The following box contains the License Agreement. Please read it carefully. If you accept all the terms and conditions please click on the 'I Agree' button. (Figure 2). Now choose the location of installation. With the 'Browse...' button you can select a different installation folder. To continue the installation click on 'Install' (Figure 3).